It's June already! Have you accomplished any of your new year resolutions yet? If not, let's start doing something about it. 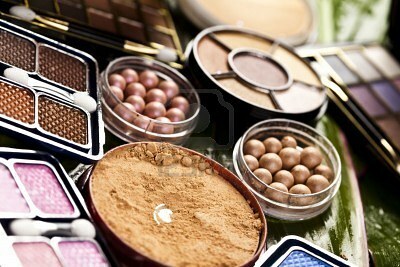 Perhaps you’re a creative individual who enjoys handling makeup and love to do styling. You may want to give some serious thought to learning more about beauty. By becoming a cosmetologist, you’ll be able to apply your knowledge and skills in an area that interests you the most. This could involve business, fashion, hair styling, makeup, personal fitness, skincare or any other area that focuses on beauty. Below are some options you may wish to explore in your quest to learn more about beauty. To become a professional beauty consultant requires some formal training. There are plenty of good cosmetology schools that offer various programs for individuals seeking to build a career in beauty. Fortunately, a lot of funding is available for students enrolled in beauty programs. Various organizations offer cosmetology scholarships to students to help them meet their educational expenses. Scholarships usually have eligibility criteria which applicants must fulfill in order to apply for an award. Besides scholarships, many schools also offer different forms of financial aid. By visiting your school financial aid office, you should be able to find out what options you qualify for. The American Association of Cosmetology Schools (AACS) offers scholarships and grants to students enrolled in schools that are members of the association. Securing funding helps to ease the financial strain typically associated with postsecondary education. Why Pursue a Beauty Education? One of the best ways to learn about beauty is by reading magazines. The market is awash with various magazines for beauty enthusiasts. Themes include fashion, hair, makeup and skincare. You’re sure to find magazines that focus on your interest. The great thing about magazines is that they serve as a great reference, even after you’re done with them. Reading beauty magazines is also fun and entertaining. This makes magazines one of the greatest resources for those who wish to learn more about beauty. The internet has rapidly established itself as one of the world’s greatest learning resources. It is now possible to get a college education or attain professional credentials through online learning. You can also turn to the internet for diverse information on beauty matters. Numerous sites offer various resources, including lessons, to help individuals with a keen interest in beauty learn more about the field. Internet resources tend to be regularly updated, which makes them an excellent source for both current and past information on beauty themes. Another great way to learn about beauty is by watching videos. Various beauty themes are covered in videos, which lets you educate yourself on aspects of beauty that interest you the most. The great thing about videos is that they usually contain demonstrations, which helps to make learning more effective. Watching videos allows you to build your knowledge base and develop your skills on specific beauty themes.